You can use AFerry to book a Superfast ferry to Italy and Greece. 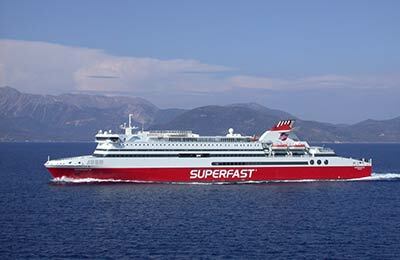 Superfast Ferries is a major and established Greek shipping agency and currently have one of the most modern and fastest fleets in Europe with a full range of on board facilities. AFerry always has cheap prices for Superfast Ferries and the latest special offers. 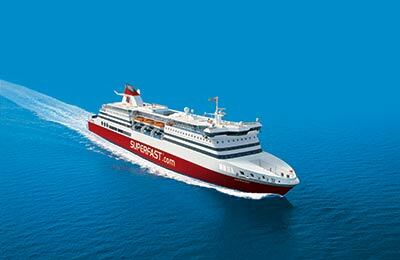 You can use AFerry to book Supefast Ferries to Ancona, Bari, Corfu, Igoumenitsa and Patras. See below for the latest Superfast Ferries prices and sailing times. Click on your ferry route for a detailed Superfast Ferries timetable with arrival and departure times. Superfast Ferries began operating in 1995 and now Superfast Ferries operate a fleet of four modern air-conditioned ships. On board a Superfast ferry you will find a full range of facilities. In addition to a choice of comfortable cabins and seats you will find a la carte and self service restuarants and bars. In the summer months you might also consider taking a dip in the on-deck swimming pool to really start your holiday with a splash. You can now also book Camping on Board with AFerry. This great value service lets you use your caravan or motorhome on the ferry rather than having to pay for a cabin with free access to electricity, toilets and showers on board. All for the price of a deck and vehicle fare. Whether you use the Superfast Ferries Ancona Igoumenitsa route, the Superfast Ferries Patras Ancona route, the Superfast Ferries Bari Corfu line or any other ferry route from Superfast, you are bound to have a pleasant and relaxing journey with this famous Greek ferry company. Book now with AFerry. How long before departure should I arrive for Superfast Ferries? Check-in is at least 2 hours prior to departure on all routes, except for Camper Vans on the Adriatic routes where check-in is 3 hours prior to departure. ...da tutto lo staff della Superfast Ferries nonostante il numero eccessivo di passeggeri. Occorre notare però che questa gentilezza manca al personale che accoglie i passeggeri allo sportello per il check-in, oltre al fatto che dei 3 operatori nessuno parla l'italiano per un viaggio dalla Grecia all'Italia. Enjoyed the whole trip from London to Greece via Italy, but next time will catch ferry from Ancona Port. it is a pity that impolite that they take a chair for which you made a reservation. This happened many times during the trip which makes resting very uncortable. Maybe entrance can be protected with a tourniquet that only works with your own card. It looks like a little ferry, but inside it's reasonably big, with reception, bar and restaurant. Travelling is comfortable, my partner did not get sea sick as she usually does. You can pay extra to have a cabin or flight like seats. We went for seats, they are much more comfortable than in a plane so it's worth to pay about 20EU extra. Wifi onboard for 1,50EUR/hour is good addition. On the bad note; showers were missing any hooks, so it was impossible to keep your new clothes dry, I had to come to ladies to hold it for my partner. Also the plane seat area is open for everyone so people who did not pay come during the night and takes your seat if you're not there and even if you are it is disturbing as there is every 2 mins someone coming looking for empty seats and it can easy wake you up. 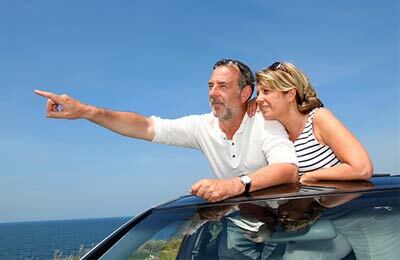 The price you pay during the high season is also not cheap, 500 EU return for 2 people with a car is a slight rip off in our view, but it's still better than drive around the coast. Travelling time 9.5 hours is also very good. We were very happy with our trip. We reserved airline seats and came prepared to sleep sitting up all night with neck pillows. But the room with the seats was nearly empty and we were all able to just lay down on our own row. Bathrooms were sparkling clean. We had breakfast in the cafe--coffee and pastries. All around very pleasant and something we would readily do again.